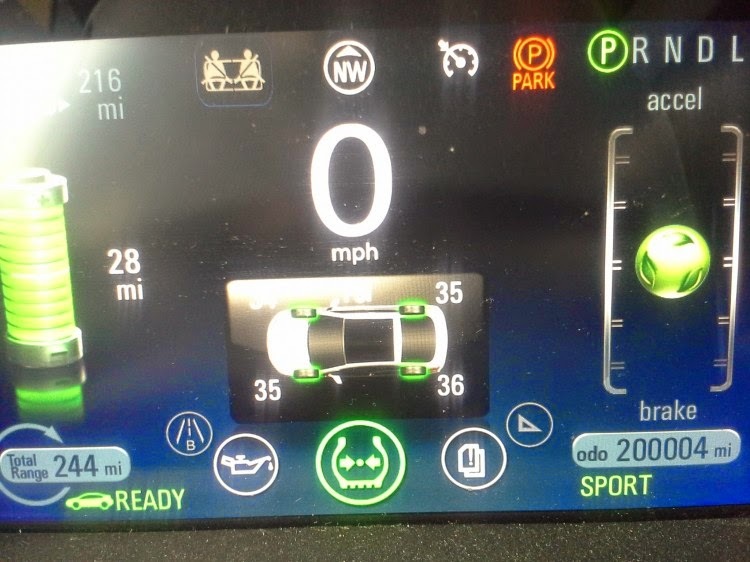 Inside EVs reported that a 2012 Chevy Volt in Ohio has achieved the amazing accomplishment of going over 200,000 miles. Mr. Belmer in the Buckeye State does a bloody lot of driving. Now the question is was he green to buy the Volt of could he have had a lower carbon footprint by buying a comparable car like a straight up Prius? The Volt per the US EPA needs 0.36 kwh per mile of battery energy. For the sake of argument let’s simply round this up to 0.4 kwh per mile of power generated at a generating station. Ohio has pretty dirty electric power and according to the link below the CO2 emissions per mwh are 1,850 pounds for the year 2012. Multiplying 0.4 by 1,850 and dividing by 1,000 kwh in a mwh we have emissions for Electric driven miles of 0.74 pounds per mile. Mr. Belmer drove 72,169 miles on E power. Multiplying this by 0.74 we have his carbon footprint on E power equaling 53,405 pounds. He drove a total of 200,004 miles, hence his gasoline miles are 127,835. Argone National Labs GREET model estimates well to wheels emission of gasoline as 92.72 kilograms of CO2 per million BTU LHV. There are 114,500 BTUs LHV in a gallon of gasoline. 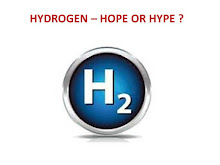 Hence the well to wheels emission of CO2 are 23.41 pounds per gallon of gasoline. The EPA rates the 2012 Volt to get 37 MPG combined when running on gasoline. Mr. Belmer’s carbon footprint for his gasoline miles is 80,864 pounds of CO2. Adding the E miles carbon footprint his total carbon footprint for the 200,004 miles is 134,269 pounds. Had Mr. Belmer bought a straight up Prius Hybrid that achieves 50 MPG combined his carbon footprint for the same 200,004 miles would have been 93,622 pounds of CO2. Mr. Belmer actually could have emitted 40,647 less pounds of CO2 had he bought the Prius. Mr. Belmer bought the car on March 28, 2012. I have driven only 16,401 miles since March 28, 2012. My car gets 22 MPG, hence my motoring carbon footprint for this entire period is 17,448 pounds of CO2. 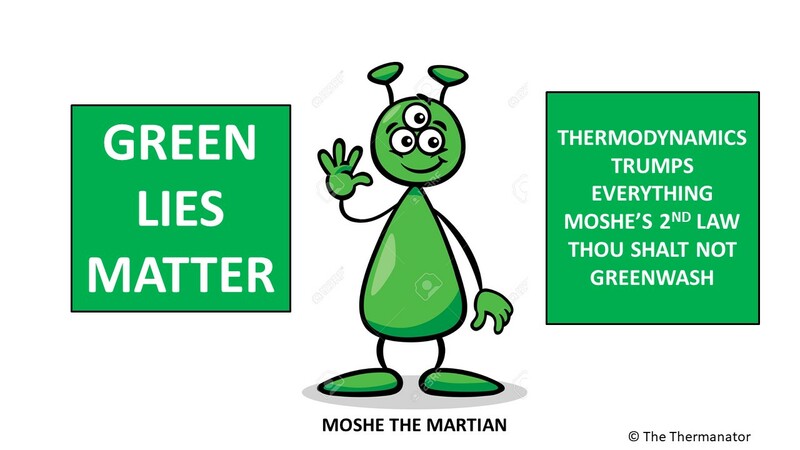 That is why I am called the Green Machine. I do not have a name for Mr. Belmer as he spends half his life commuting in Ohio where I have never seen the sun shine after dozens of visits to that state. I just feel sorry for Mr. Belmer. Perhaps he can tell us if the Volt has more comfortable seats than the Prius as that may be the only reason he bought the Volt? U sure its Belmer and NOT Balmer as in Microsoft? ?? By my Calcs, if every Ohioan powered their residence or business by diesel-fuel electric generators, the CO2 emissions would increase by less than 15%. The air and water quality in Ohio must be astonishingly bad!